Great civilizations and dynasties do not have a fairy tale beginning, for they are all founded on streams of blood . While Indian folklore is rich in heroic legends , a birth of a dynasty is replete with battles fought and won . It is the same with the Vijaynagar empire , except there are several stories here with various versions. But the location remains the same. A river bed with a fortification on one bank . 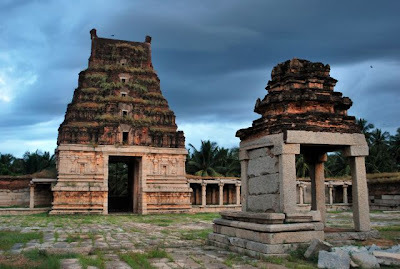 This was the principality of Anegundi, ruled then by a Hoysala chieftain. When the Delhi Sultans laid siege to the Hoysalas and Kakatiyas, the latter fell, leaving South India vulnerable to their attacks. Our story begins here in the 14th century. Sitting in a coracle and enjoying the ride around the Tungabhadra I heard a guide narrate the story of Vijaynagar to a group of tourists .”When the Delhi Sultans had invaded Warangal, two brothers called Hakka or Harihara and Bukka escaped and landed here in Anegundi,” he says , pointing to the town on the other side of the river. The brothers who were under the Kakatiyas then started serving the local chief here . Meanwhile the chief gave refuge to Bahauddin, a rebel nephew of the Delhi Sultan , Muhammad Bin Tughlaq. “The Sultan plundered Anegundi and the brothers escaped again, and this is when they met Vidyaranya , a seer from the Sringeri Shankaracharya Mutt who asked them to build a city on the other bank of the river .He called it Vijaynagar or the city of victory though we also call it Vidyanagar after the seer, “ the guide said. The story however does not end here. The brothers raised a small army and revolted against the Sultan, who returned the kingdom to them. The seeds of the Vijayanagar empire which went on to rule all of South India for over 350 years had just been sown. 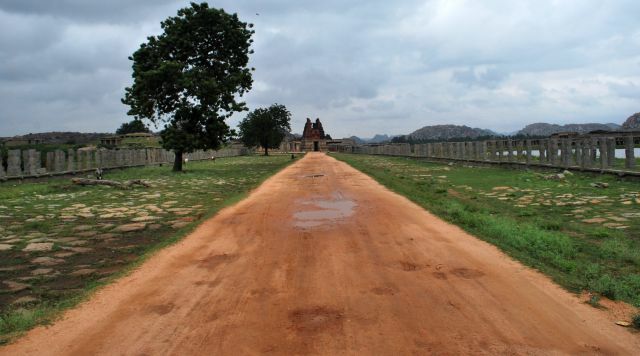 And yet everything about Hampi is not about Vijaynagar. 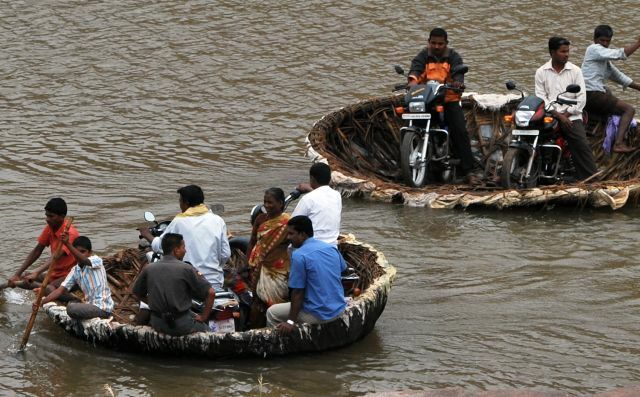 Gazing at the waters of the Tungabhadra, I was looking forward to going towards the Pampa Sarovar on the other side. 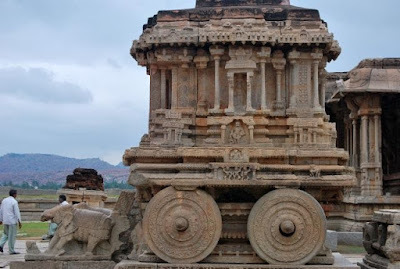 After all, Pampa is older than Hampi or Hampe as it was called and this was the Kishkinta of Ramayana where Rama gets the support of Sugriva and Hanuman and even kills Vaali. It is no wonder that Jambhavan , the lone sloth bear in Sugriva’s army comes alive in Daroji, the sloth bear sanctuary located close to Hampi. What an amazing place is this! beautifully narrated embellished by lovely images! Liked the way you’ve written this post! Been there, done that and you are writing about it..this is excellent Lakshmi. Good pictures too. i know i will this year!! Beautifully written. Vidyaranya is Madhavacharya and probably he also hailed from Warangal. Well narrated the story in short, and great knowing about this country. 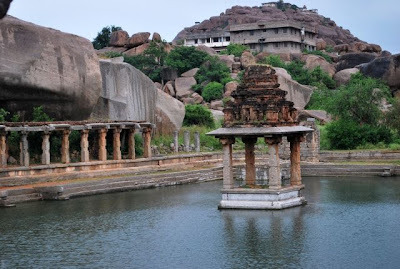 Very nice pictures of hampi and the last one were quite fabulous. Very nicely written! Enjoyed reading it. 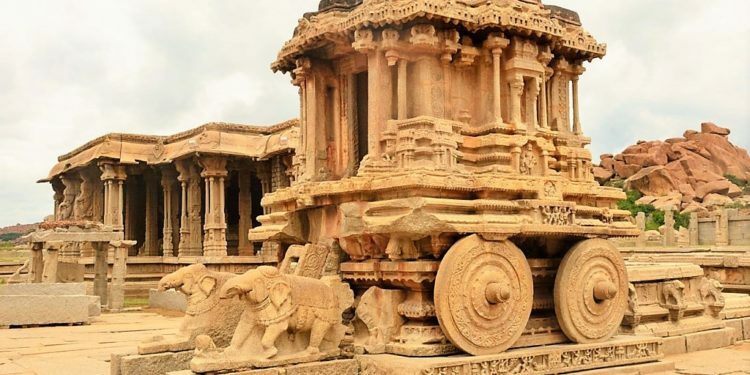 Your posts are allurig me to think of a trip to visit all the great temples of India.